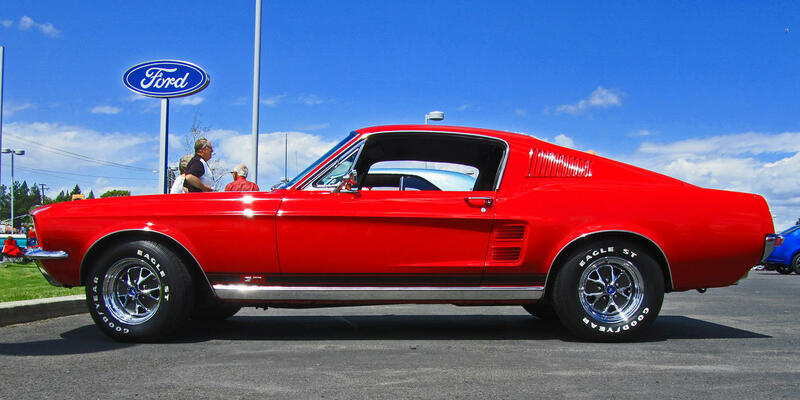 In 1967, 20-year-old Herb N. walked into a car dealership in buzzing Chicago with $3200 cash clutched tightly in his sweaty hand and bought a brand new bright red Mustang. The Mustang wasn’t an especially good deal ($3200 was a lot for a car then and he had just started college), it didn’t have the best safety ratings or durability reports either, but the 1967 Mustang was the one and only car Herb could imagine owning and he simply knew no other car would do. He was completely absorbed with the brand. He wanted to make a statement and he wanted to make it with what was then the sexiest car around. Since 1967, many things have changed. Herb’s Mustang was initially swapped out for a more family friendly car, then later for something less extravagant and more comfortable. However, two things remain the same: Firstly, Herb’s loyalty to his brand (almost 50 years later he is still driving a Ford), and secondly, young adults (just like Herb was one) will always be looking for that one first car that will give them the feeling he had when he walked out of that dealership being a brand new Ford Mustang owner. It happens in the late teens and early twenties that young adults form patterns of the kinds of brands they like. Just as with cigarettes and beer, they choose a car brand to identify with. A brand they think best reflects their individual image and shows off their status. Once formed, this brand choice is not easily rattled, as they directly relate to the brand and the people associated with it. The auto industry has always run on these relationships. Whole families being loyal to one particular car brand is still just as common as people having this one special sales person or dealership owner they feel comfortable buying from. Especially in times where everything seems fast paced and the information flood can be overwhelming, relationships seem to matter more than ever. Just as with Herb N., the stronger the relationship between brand (and/or product) and customer, the more loyalty which can be later expected. We are not talking about factual information on cars here, but simply about the feelings a brand evokes. In a time, where hundreds of millions of people are using social sites regularly, one of the best ways to build relationships with buyers is by making the most of social media. The time when social networks were simply used to check out each other’s vacation pictures is long over. Facebook, Twitter and company are the places where teenagers and young adults exchange ideas, where they align their values to those of their contacts, and where they eventually form their opinions on anything and everything. This is the place where certain objects and brands are shared, re-tweeted and liked whereas others are simply disregarded. This is also the place where they read ratings, find referrals, and eventually commit to their brand/s. Manufacturers at the highest levels have long realized the power and endless possibilities of social media and have moved beyond only placing their cars in James Bond movies and on Billboards. According to the latest Socialbakers statistics, BMW owns the biggest Facebook page in the automobile industry, enlarging its Facebook fan base from one million in February to nine million in March. Not only does this interactive page encourage its fans to post pictures and share their latest driving experiences, but BMW offers them an exclusive scoop on the brand’s latest news, information, and entertainment in return. By creating beautiful high quality visuals, commercials and videos, using as many channels as possible (several mobile apps like e.g. The Ultimate Drive app), and building a strong community through hobbies and passions, BMW is an excellent example of how to get young adults hooked to a brand through social media and thus how to ensure future customers and possible lifelong relations. Furthermore, BMW’s customer service team constantly monitors the content on Twitter and Facebook for feedback on their products and services, launches challenging contests (e.g. Express in 5.9 seconds – the time the model can do 0-60 in – why you need the BMW328i in your life), and further offers various behind-the-scenes tours. By being this close to the branding decisions and there step by step on the way to a new model, an inanimate object like a car can suddenly become personal and a relationship is formed. Another great way to get people engaged in brands are blogs. As human beings, we all have opinions, thought and feelings we like to share, and blogs provide the platform for exactly this self-expression. When starting Expatstudy.com, a homepage with a blog dedicated to expatriate research, my goal was to build trust with people I need to participate in my study. I want them to be part of the success story that I am convinced Expatstudy.com will be, but I don’t want to drown them in long research articles on the subject matter. Through Expatstudy.com, I can provide all the information potential participants need in clean and easy-to-digest chunks, while at the same time building a relationship between brand and individual. Speaking from my experience with Expatstudy.com, as well from my time in Global Employer Branding at Allianz, building a good social network is not free (even though compared to the funding required for earned media impressions through radio, TV and print it might seem to be). It takes a lot of time and commitment to successfully manage a social presence, just like it takes that time for a sales executive to manage his clients. Everything done online, every comment left, every picture posted, reflects values and brands a business. It is your authentic dialogue and striving engagement that will eventually win over the one other person (and this customization can never be reached with paid media appealing to a general audience), to voluntarily spend 10 minutes on a survey, or to buy a car. When Herb N. bought his Mustang, his membership card in his wallet reminded him every time he bought something, that he was part of something special: He was a brand new Mustang owner (even though he didn’t really know what the card was good for). What if we could give someone this same feeling about our brand, every time they log into Facebook, Twitter, LinkedIn or whatever other network they prefer? Hanna Sophie Simmons is the main researcher behind www.Expatstudy.com, a one-of-a-kind research project on the relationship between expatriation and career success for the University of Munich. She is currently collecting data relying heavily on social sites, a rather innovative approach in the academic world. Her interest in social networks was sparked predominantly by the topic of her Master’s thesis in Psychology of Excellence in Business and Education, where she investigated the relationship between personality type and social networking behavior. Hanna has previously worked in the area of e-recruiting and global employer branding for Allianz (one of the world’s largest insurance providers) where she focused on improving the company’s presence on social sites such as LinkedIn and Xing, as well as a Training and Coaching Consultant for the German based company Graf&Nestler. This entry was posted in Social Media and tagged car buying, Chief Marketing Officer, CMO, marketing, Social Media, trends by Hanna Sophie Simmons. Bookmark the permalink.